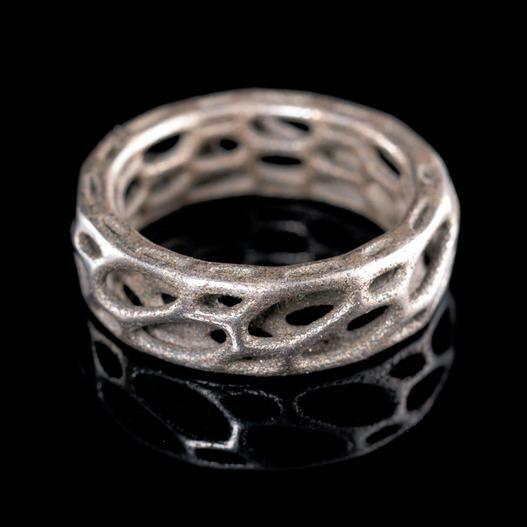 The Thin Ring in Steel is a unique 3d printed jewelry by Nervous System. 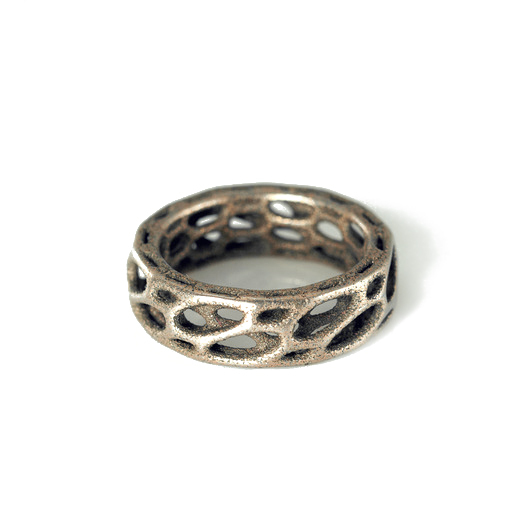 A thin, unisex ring 3d-printed in stainless steel. 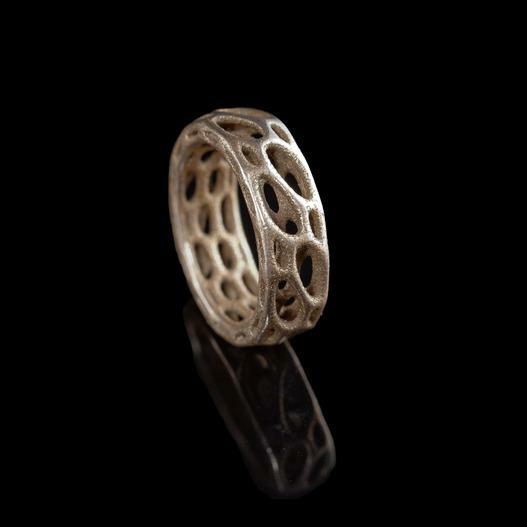 Part of nervous system's Cell Cycle collection, the ring was inspired by the complex forms of radiolarians, where intricate pattern is integral to structure. 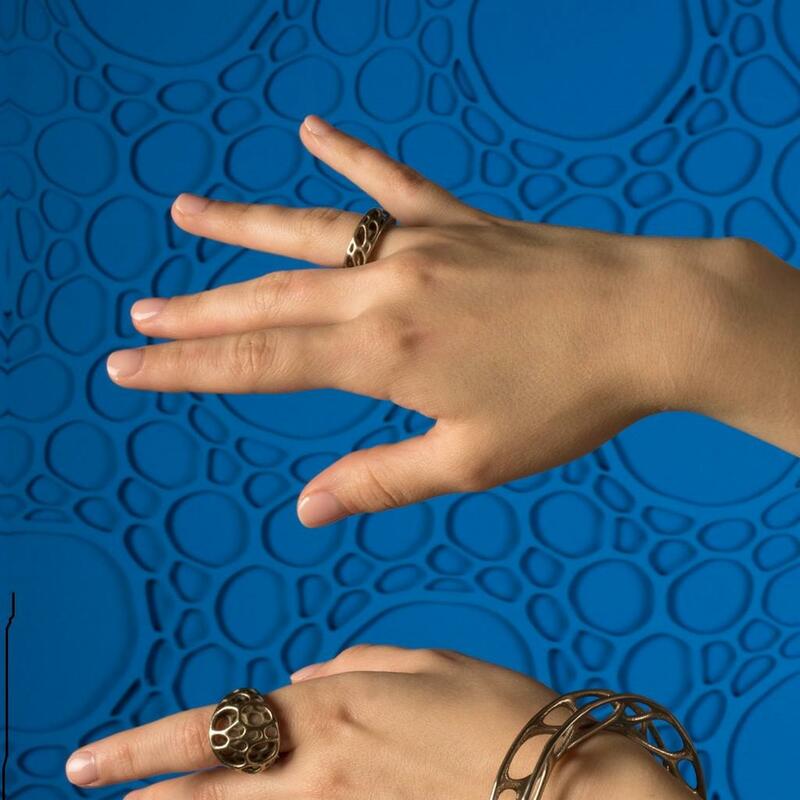 The shape derive from a simulation of spring meshes. 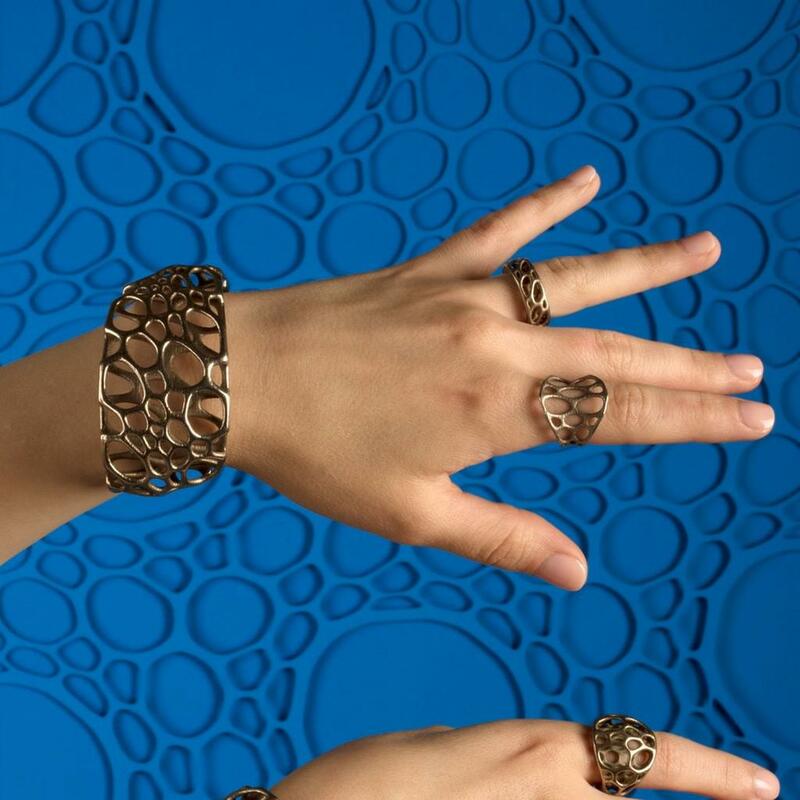 Nervous System created interactive software to morph, twist, and subdivide each design, transforming a simple mesh to a complex patterned structure. 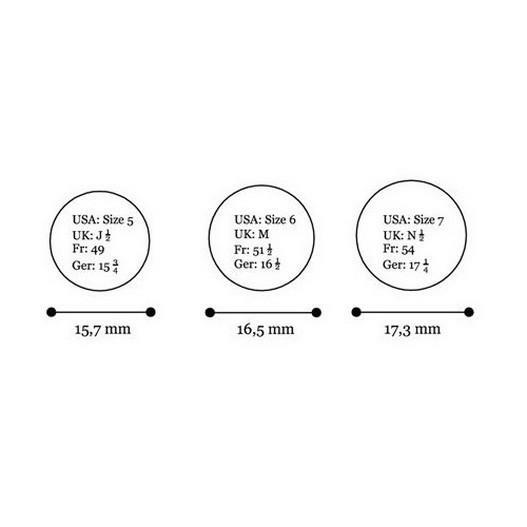 Available in sizes 5,6 and 7. 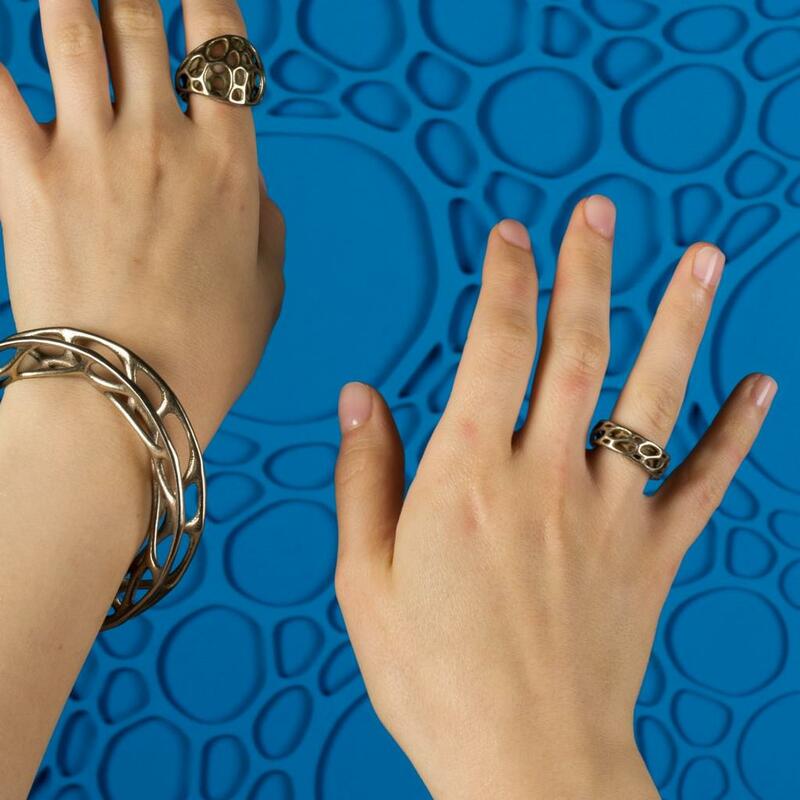 Material: Stainless steel, Bronze infused, for a unique finish.